Worship is central to all we are as God’s people and is seen as a vital opportunity to strengthen our relationship with God. It is also a time for us to express our faith and witness that faith to others. The GRACE contemporary worship service starts at 11:15am in the Kinney Family Life Center, the traditional service is in the main sanctuary at 9:00 am. GRACE contemporary service offers Growing Relationships And Christian Experiences. Come as you are. Enjoy a cup of coffee. Worship your Savior in a Christ-Centered Community. Liturgical: The congregation is invited to participate throughout the service through responses and music. 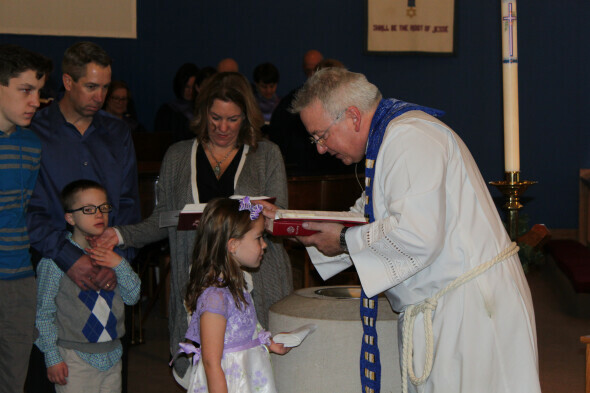 Holy Communion celebrated at each service: All who are baptized and believe in the real presence are invited to partake in the Holy Sacrament. Nursery is available for children four and younger. Special Services are offered throughout the year. When a person pre-plans their own funeral they are giving a unique gift to their family while also passing along a legacy of faith. For many, it is a comfort knowing that certain details of the funeral service have been prepared in advance. In the days following a loved one’s death, the family makes an average of 200 decisions. During such an emotional, stressful and demanding time, plans that have been made earlier lighten the load after death. Messiah is offering a Funeral Pre-Planning Worksheet which gives you the opportunity to make some choices now regarding your funeral. This worksheet allows you to supply accurate data about yourself, share preferences for the funeral arrangements, and provide plans for the funeral service itself. You can access this worksheet on our website or obtain a hard copy from the church office. When you are finished, you can share your worksheet with a family member or friend who will act on your behalf after your death. It would also be helpful to contact the Pastor of Messiah to share your worksheet so that it can be held in safekeeping for the future. It is hoped that this is a helpful tool to communicate your desires and share your faith. Download and print the materials by clicking here. “We have gifts that differ according to the grace given to us…” (Romans 12:6 NRSV) It is in the exercise of these gifts for the common good that God’s people experience the fulfillment Jesus proclaims. Discipleship involves service, and can be cultivated through worship and music opportunities.